Help students become more comfortable and astute in all aspects of language. One of the most important things we can do for our students is to give them more opportunities to talk in the classroom. It helps build community, encourages learning from others, and helps with the acquisition of a language. When I was an ESL teacher in my first classroom position, I was at a school where more than half of the students were developing bilinguals. Despite our commitments to helping these students acquire English, state assessments showed that from year-to-year, they weren’t making progress with their acquisition of English. Things changed when, as a 4th grade teacher, I planned a thematic unit with a capstone activity of a stage play for the school. Lessons went from me talking at the class to students collaborating in groups with each other, and one-on-one with me. The results were extraordinary; A boy who never spoke in my class before requested the lead role in our end-of-unit play. He was soon reading his lines in English on little note cards, and laughing along with his peers through rehearsals. Because of the change in classroom atmosphere, my shy quiet student who would only speak in Spanish was now performing in front of all his peers, in English. This marked an enormous transition for him as a student and dramatically shifted my instructional practices going forward. When we curate social classrooms, our students can move mountains. When teachers facilitate conversations in the classroom, students become more comfortable and astute in all aspects of language. This has been confirmed by decades of research, showing that students who are not yet proficient in the language commonly used by their class are simply not given as many opportunities to talk, and that during the few times they are, they are frequently only asked questions around comprehension (Durkin, 1978). “Were you able to read that?” or “Did you understand this?” can only go so far, however, when it elicits merely a nod or a yes/no. Instead of checking for comprehension, we educators must first build the pathways to enable a steady flow of comprehension, through comfortable, ample, and lively conversation. Teachers must create lessons that encourage purposeful and planned opportunities to talk, researchers at San Diego State University observed (Fisher, Frey, and Rothenberg, 2008). Noisy, talkative classrooms are a good thing – they facilitate conversations among peers and with the teacher. So how can we invest in building these lively, engaging classrooms for our developing bilingual students? I’ve outlined four simple strategies below to provide some guidance. Happy, noisy classrooms can make the difference. Let’s help our students make amazing progress, both in and out of the classroom, by encouraging them to talk more. 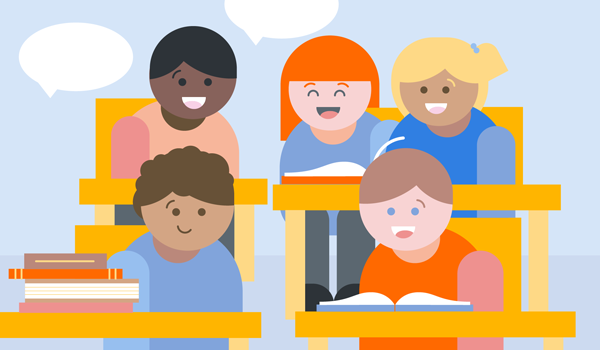 Email yourself an infographic – 7 Conversational Strategies for Developing Bilinguals – to guide the activities in your happy, noisy classroom. Purpose: Use this activity to help students share their responses to a prompt. Also can be used for Vocabulary or Summarizing. Tell the class the prompt and provide one minute for students to think of their response. They can use graphic organizers or take notes to write down their thoughts. Have students turn to a partner and have Partner One share their response for 60 seconds. Then, provide 30 seconds for Partner Two to ask questions or pose counterarguments. Repeat with Partner Two sharing for 60 seconds, following with 30 seconds for discussion. Bring the whole class together and have pairs report on what was shared. Write responses and note points at which students agree and disagree. If possible, create a whole group response to the prompt. Purpose: Use this routine to have students share their response to a writing prompt or question. Put students into small groups and have each group select a timekeeper and facilitator. Provide the students in each group with a text, article, or passage. These passages can be different from group to group or student to student, but should center around the same theme or topic. Share a question or writing prompt with the whole class. Ask students to individually read their texts, mark evidence in the texts, and use that evidence to support a response to the prompt. Choose a presenter in each group. The presenter shares their claim, reasons, evidence, and reasoning in response to the prompt. The other members of the small group have one minute to comment on the presenter's argument. Encourage students to use evidence from the text in their comments. The presenter has the last word and shares how the evidence from other memebrs of the group changed (or did not change) his or her thinking. Allow each student to present. Assure students that they can have the same claim as another, but remind them that they may have different evidence or reasons why they think as they do. As a whole group, discuss what was shared in the small group. Was there consensus about the answer to the question? Why or why not? Did many people use the same evidence? How did people connect their evidence back to their claims? Purpose: Use this activity as a precursor to peer editing. Arrange chairs in two concentric circles, the inner circle smaller than the outer. Share the writing prompt or question with students. Have students in the inner circle discuss the question, including stating a claim, citing evidence, and explaining reasons and reasoning. Have students use graphic organizers or take notes in their discussion. Remind students that each person should have an opportunity to share. Have students in the outer circle observe the students in the inner circle and note times when they used textual evidence, explained their reasons, or used counterarguments effectively. Allow time for each person in the outside circle to stop the discussion to share a counterargument or a piece of evidence from the text that has not been mentioned. Provide all students a chance to be in the inner and outer circles, though they do not need to have both roles in the same class period. Discuss the conversation in the inner circle. Have students note when students were effective arguers. Encourage students to share any alternative points of view, or claims that were not shared in the fishbowl discussion. Purpose: Use this routine to discuss the writing prompt or question. Encourage students to use evidence from a text during the discussion. Read a question to students. Give students 60 seconds to think about what they want to say in response. Have students turn to look at their partners and invite them to share their claims, reasons, and evidence. Give each student 30 seconds to share. Then, have students turn around and provide 30 seconds for students to come up with a reason for why they disagree with the other person’s argument. Have students turn and share their reasons. Then, have students turn around and provide 15 seconds for students to think of a rebuttal to the comment. Continue your learning with the recorded webinar, "Conversational Strategies for English Language Learners"
Durkin, Dolores. "What Classroom Observations Reveal about Reading Comprehension Instruction." Reading Research Quarterly 14, no. 4 (1978): 481-533. http://www.jstor.org/stable/747260. Fisher, Douglas, Nancy Frey, and Carol Rothenberg. Content-area Conversations: How to Plan Discussion-based Lessons for Diverse Language Learners. Association for Supervision and Curriculum Development, 2008. A former special education and English teacher, school administrator, and district leader for Boston Public Schools, Kavita is an expert on teacher training, Universal Design for Learning, and bilingual language learners. 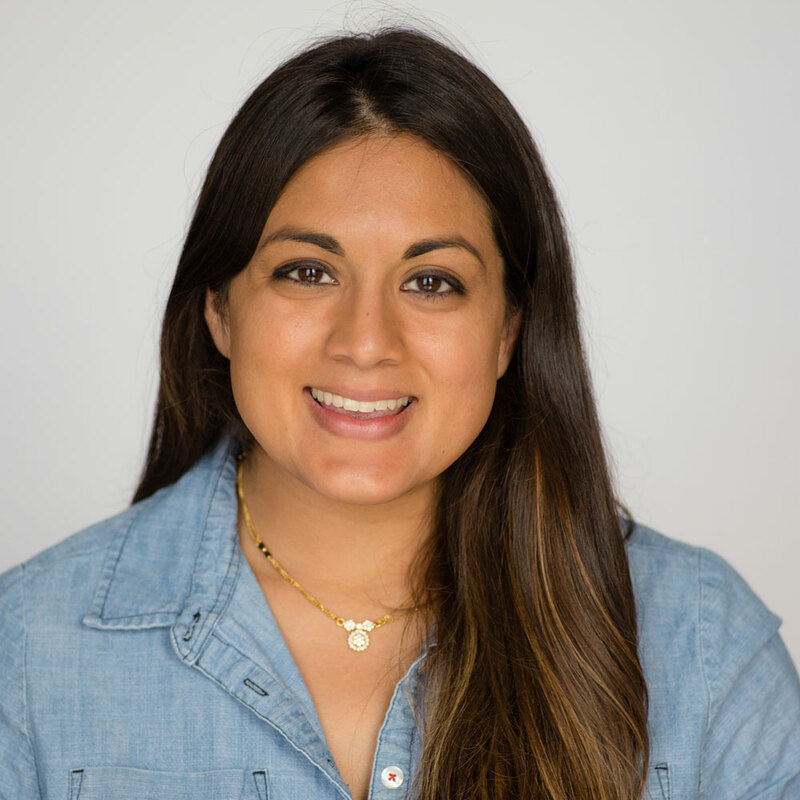 In addition to her work at ThinkCERCA, Kavita is a Cadre member at the Center for Applied Special Technology, where she teaches courses on UDL and provides training to districts and universities across the U.S.